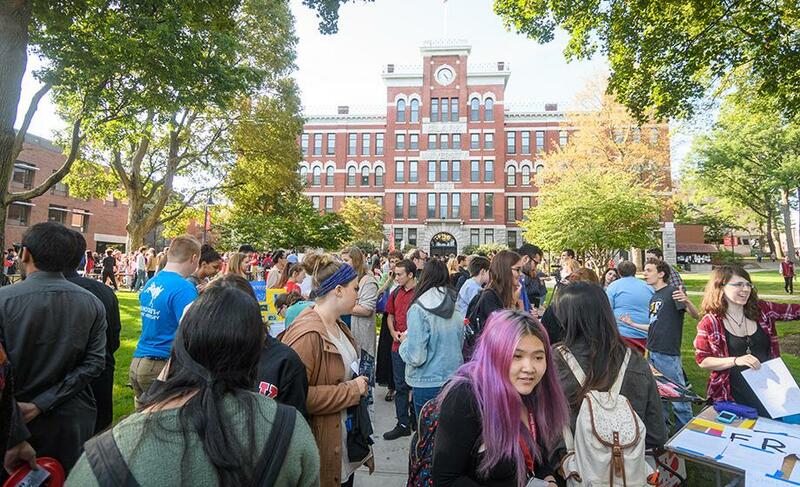 Clark University is included in The Princeton Review’s 2018 edition of “Colleges That Pay You Back: The 200 Schools That Give You the Best Bang for Your Tuition Buck,” and is No. 11 on the list of top 25 schools for “Making an Impact.” Schools were chosen from a pool of 650 national colleges and universities. 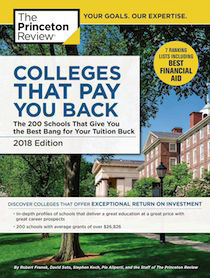 This annual guidebook, now in its fourth year, is the education services company’s resource for college-bound students and their parents shopping for affordable, academically outstanding colleges that graduate their students to successful, rewarding careers. The Princeton Review chose the 200 schools for this edition based on a comprehensive analysis of data from its surveys of administrators at more than 650 colleges in 2016-17. Survey topics broadly covered academics, cost, financial aid, career services, graduation rates, student debt, and alumni support. In all, more than 40 data points were crunched to select the schools for the book and tally its ranking lists.